Filmmaker Alexander Medvedkin (1900 89), a contemporary of Sergei Eisenstein and Alexander Dovzhenko, is celebrated today for his unique form of "total" documentary cinema, which aimed to bridge the distance between film and life, and for his use of satire during a period when the Soviet authorities preferred that laughter be confined to narrowly prescribed channels. This collection of selected writings by Medvedkin is the first of its kind and reveals how his work is a crucial link in the history of documentary film. 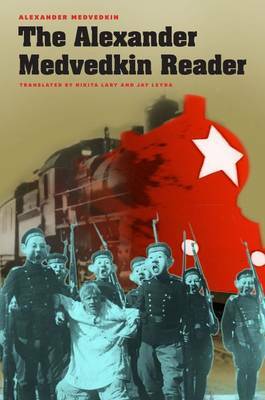 Although he was a dedicated communist, Medvedkin's satirical approach and social critiques ultimately led to his suppression by the Soviet regime. State institutions held back or marginalized his work, and for many years, his films were assumed to have been lost or destroyed. These texts, many assembled for this volume by Medvedkin himself, document for the first time his considerable achievements, experiments in film and theater, and attempts to develop satire as a major Soviet film genre. Through scripts, letters, autobiographical writings, and more, we see a Medvedkin supported and admired by figures like Eisenstein, Dovzhenko, and Maxim Gorky. This is a rich testimony to the talent and inventiveness of one of the Soviet era's most revolutionary filmmakers. "Lary explains that the idea for the collection belonged to Leyda, and that Medvedkin was personally involved in choosing materials from the archive, making it in a real sense Medvedkin's book... He also provided excellent notes and commentary. A job well done: the result is a fine cornucopia of primary sources for film historians and historians of the Soviet Union."